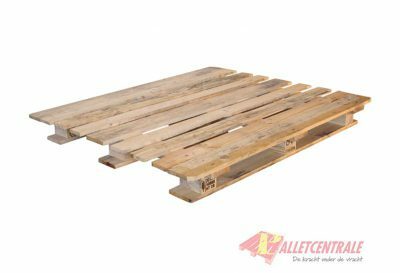 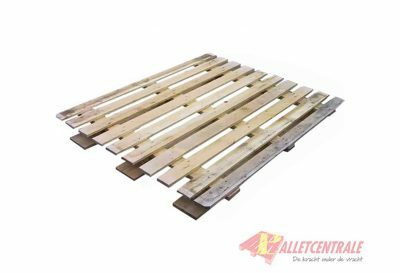 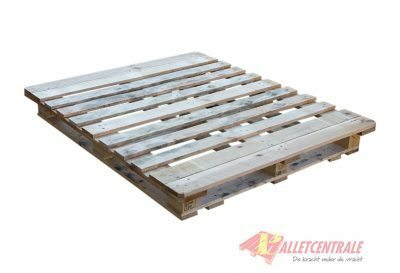 This new wood CP7 pallet is 110cm x 130cm in size and is equipped with a cross deck. 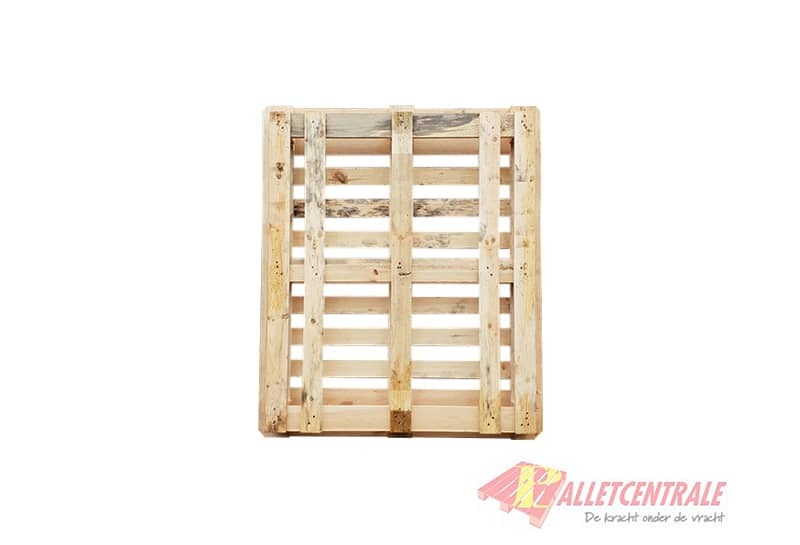 This standardised pallet is frequently used in the chemical sector, both new and reconditioned. This pallet is at our locations in Moerdijk and Sas van Gent, if you choose to collect, this is only possible at these locations. 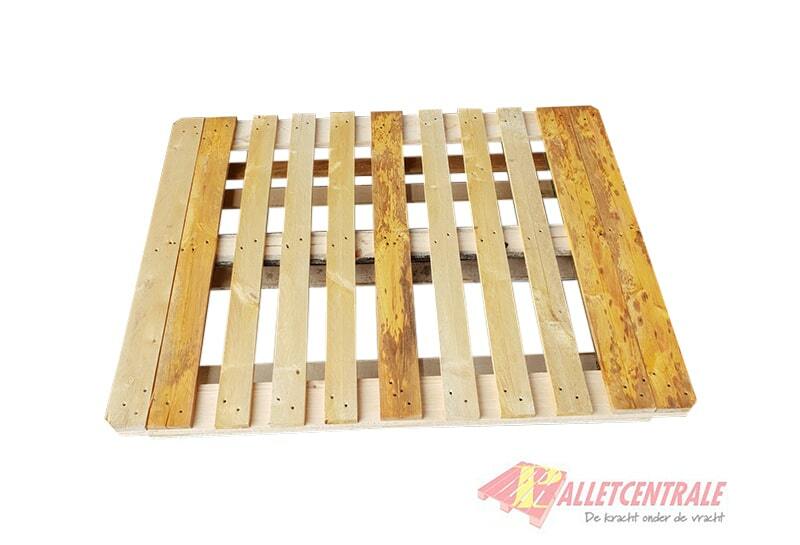 This pallet is delivered in 15 pieces on one stack, ordering in multiples of 15 pieces is the most advantageous.